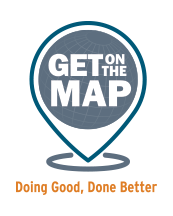 Home / Grantmakers, Get on the Map! Grantmakers, Get on the Map! Access to accurate, up-to-date grantmaking data is critical to understanding the funding landscape and ensuring that your giving is as effective as it can be. And that’s what the "Get On The Map" campaign is all about! Illinois Foundation Stats, our regional dashboard, which aims to give you the most up-to-date picture of funding in Illinois. The annual Giving in Illinois report, which provides an authoritative overview of giving in our region. Foundation Maps: Forefront (login required), a highly interactive, searchable mapping platform from Foundation Center that lets you visualize data at the grants level. This is accessible to all Forefront grantmaking members. Your own map (see sample); a window into your own grantmaking visualized through the Foundation Maps platform. This map can be used as a communication tool and/or incorporated into your website. Which organizations are tackling that issue, and how? Are we reaching everyone in our community, or are certain groups being left behind? Foundation Center Updater makes it easy for you to keep us up-to-date on the work of your organization. 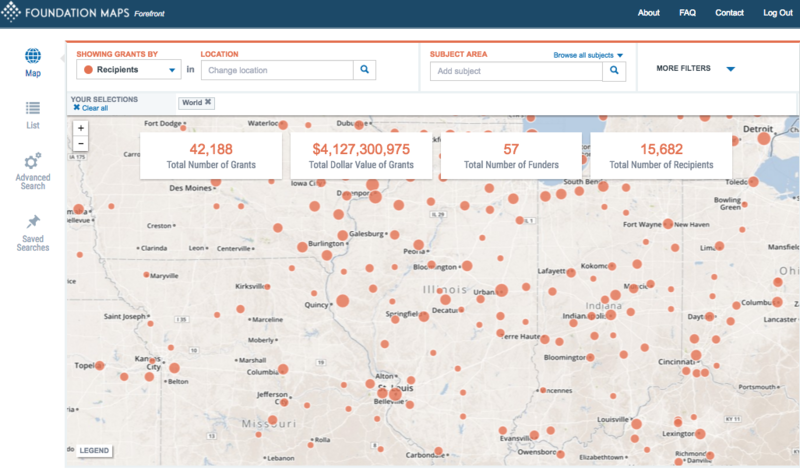 Use Foundation Center's Updater to upload your grants data for the Illinois dashboard, Giving in Illinois, and Foundation maps, all at once! You control what information you wish to include in your profile. Generate a grants report following Foundation Center’s eReporting template. Your grants management software may already include this template. Check Foundation Center’s list of software partners to see if eReporting is built into your system. If you have any questions about how to submit grants data, please email egrants@foundationcenter.org. *Why is it important to provide a grant description? Access to accurate, up-to-date grantmaking data is critical to understanding the funding landscape and ensuring that your giving is as effective as it can be. Please help the entire social impact sector by sharing your Foundation's grants data! If you have any questions about how to Get on the Map, please contact Dawn Melchiorre at dmelchiorre@myforefront.org or 312-327-8930.